Hey guys! How is your week going? So far, ours is going great! 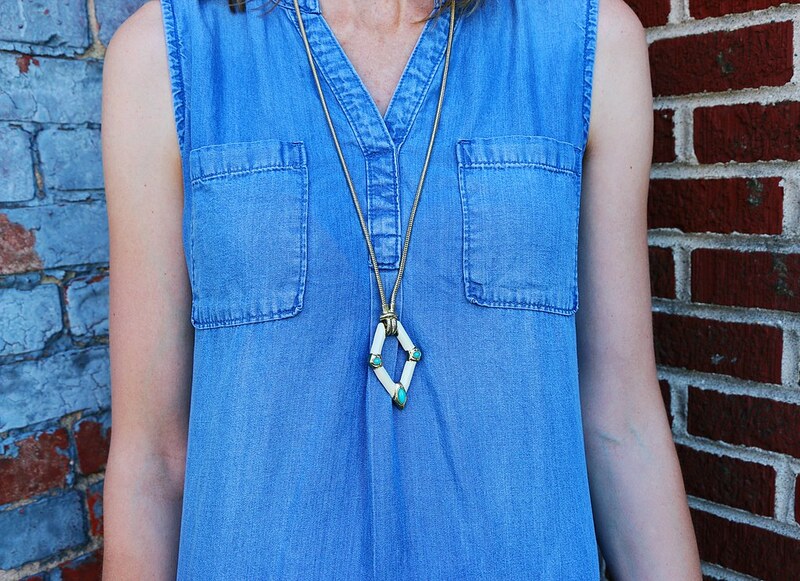 This chambray dress is older, but still one of my favorites. It is so soft and comfortable! I styled it here with a cardigan for a summer evening. I am obsessed with this blush color! I think pink will always be a favorite of mine. 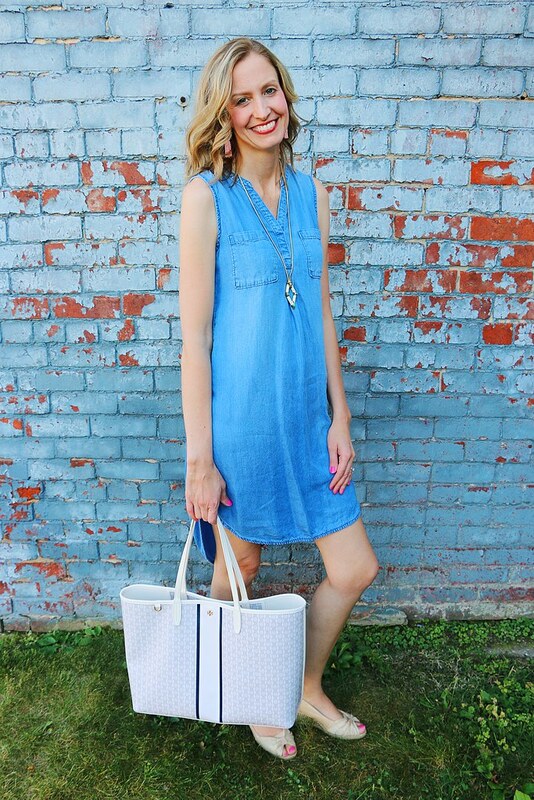 This tote is such a great summer bag! It holds so much and the material is great because it cleans very easily. 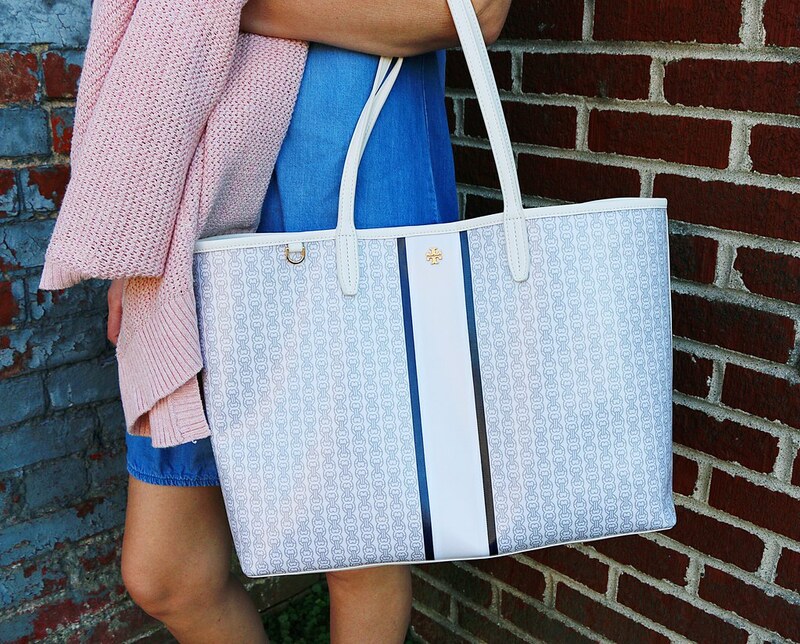 It is perfect as a beach bag too! 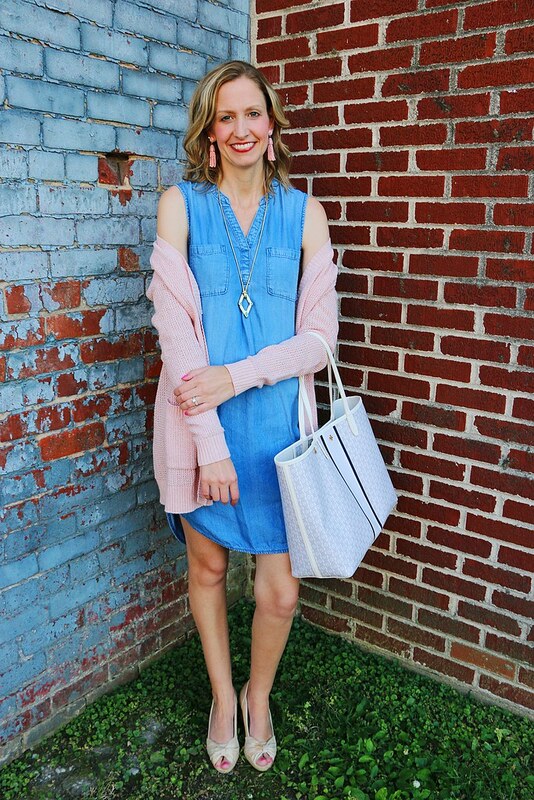 These wedge sandals are old, but I linked some cute ones here! Thank you so much for reading and I hope you have a wonderful day!